Standing Desks Boost Productivity Not Just Health! 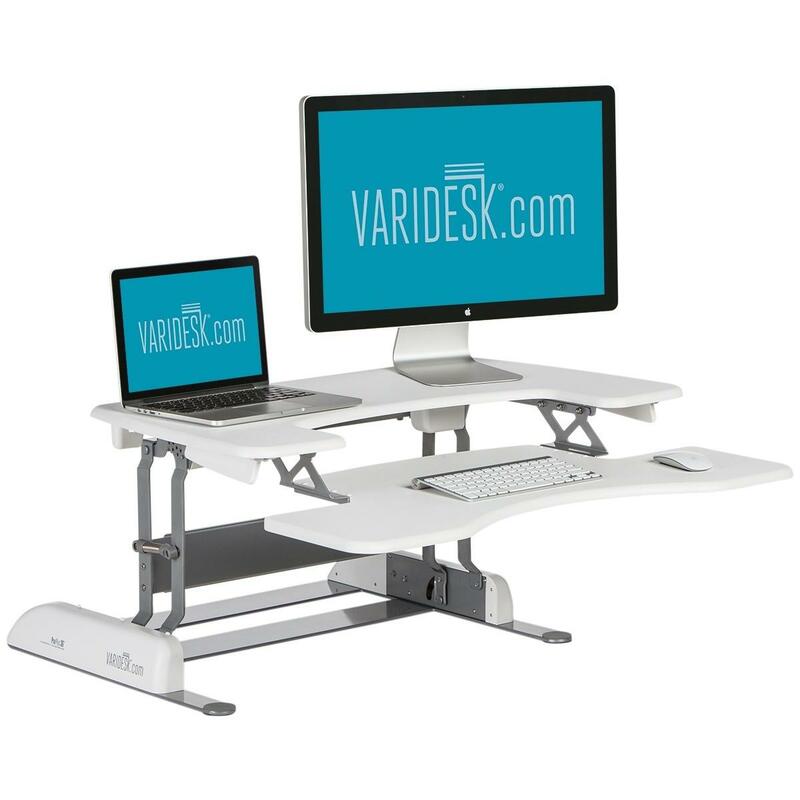 "...Incorporating short periods of standing and movement throughout your work day will help improve your quality of life..."
What is a Sit to Stand Workstation? 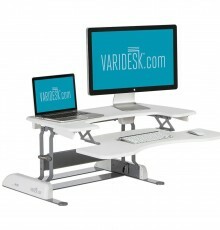 There are many benefits to the sit to stand workstations. Five are highlighted in this Smithsonian Magazine article. Long periods of sitting can actually increase your risk of heart disease and other medical problems; even if you exercise regularly (Mayo Clinic Study - James A. Levine, M.D., Ph.D.). Incorporating short periods of standing and movement throughout your work day will help improve your quality of life. 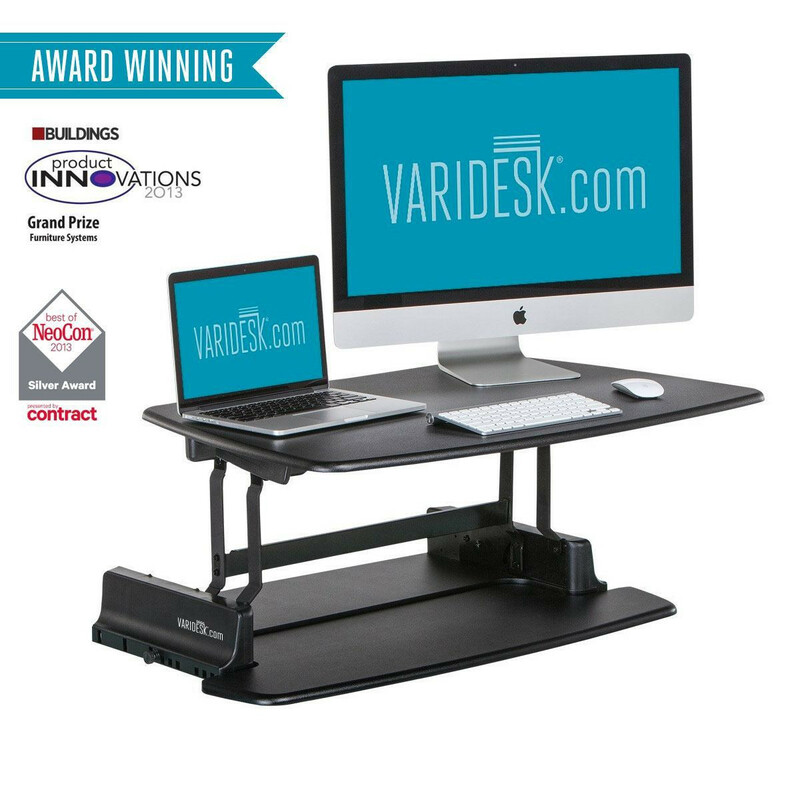 We have two models of VariDesk workstations available: VariDesk Pro 36 and VariDesk Pro Plus 36. Contact Gail or Jim if you are interested in a sit to stand station. Keep moving and stay well! In our modern sedentary culture we sit way too much. That’s what we learn learn day after day in the news. But research also highlights the obvious remedy: standing! 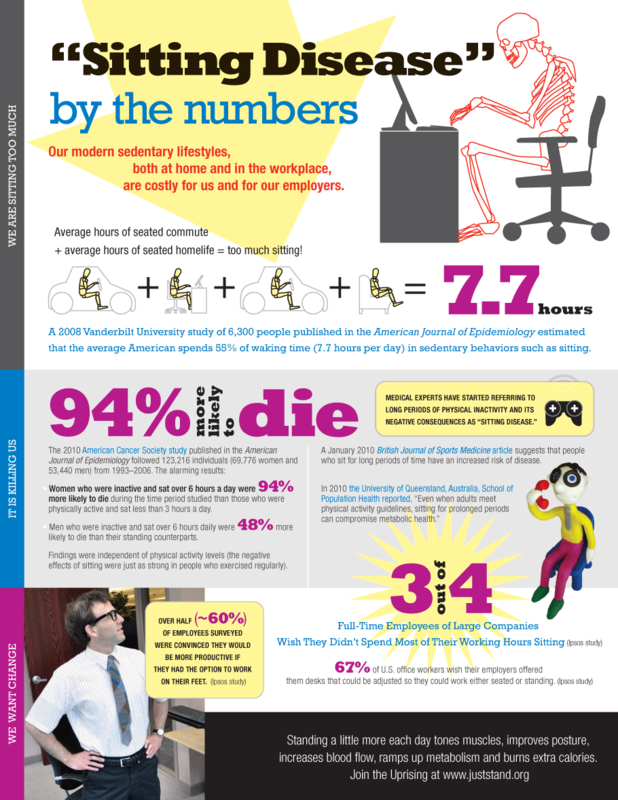 The American Medical Association (AMA) agrees that sitting for extended periods of time can be bad for personal health. Their policy recommends organizations offer sitting alternatives, including standing desks. Combating sitting disease with added gym-time may not work: most people don’t have time for MORE exercise, and more exercise time may not even reverse sitting disease. 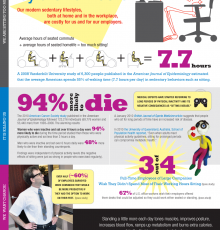 Global studies show, on average, we sit 7.7 hours a day, and some results estimate people sit up to 15 hours a day. Calculate your daily sitting time. About Standing We are sitting up to 13 hours a day and it is hurting our health. The obvious remedy to sitting disease is standing—while you compute or do any number of activities. Here are eight easy ways to stand more. Standing is like walking: It increases energy, burns extra calories, tones muscles, improves posture, increases blood flow and ramps up metabolism. Standing all day may not be healthy or practical—people naturally want to sit at times to rest or when intensely concentrating. A recent study published by the CDC indicates adjustable sit-to-stand products are an effective solution for reducing prolonged sitting. 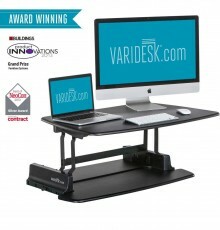 You can instantaneously sit or stand as you choose while remaining effectively engaged with your computer. Read more.